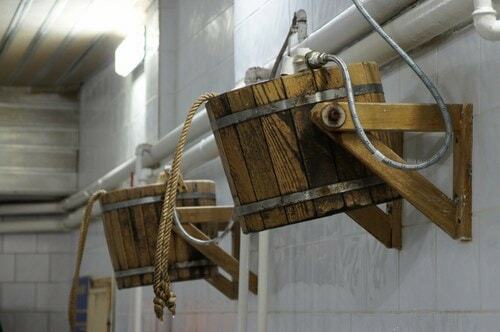 A centuries-old tradition, banya, a Russian bathhouse, is one the country’s most popular recreational activities. If you’re going to Russia—perhaps for the 2018 FIFA World Cup—consider putting one of these banyas on your must-visit list. Known for its spectacular architecture and interior design, this historic bath house has been around since 1808, which makes it the oldest functioning banya in Moscow. This is the place to go if you want your experience to be as aesthetically pleasing as possible, with Baroque columns, Roman pools and Turkish baths. Don’t feel like steaming and flogging? Then visit Sanduny on Tuesday after 4pm for a guided tour around this spectacular banya. Built in 1938, this spacious and bright bathhouse is located in Taganka neighbourhood and offers beautiful views on the Novospassky Monastery. Known for their high-quality steam rooms, Vorontsovskie bathhouse has different public spaces for women and men; the public space for men features two classes—the higher the class, the better the steam. Vorontsovskie private rooms and saunas are perfect for a friends’ night out. Each fits up to 10 people and prices range from low-budget to deluxe. On Friday mornings, you can steam for half the regular price. Sanduny’s less historic rival, Krasnopresnensky banya balances out the Soviet-chic interior with the latest bathhouse industry trends. Known to have some of the best steam rooms in Moscow, Krasnopresnensky also offers spa treatments, cryotherapy, Ayurveda massage and a variety of body peels. Another reason to choose this bathhouse is the delicious global restaurant that serves Japanese dishes, as well as European cuisine, among others. Recently refurbished, Varshavsky bathhouse entices with its modern design and friendly service. Steam like a Tsar in the elaborately decorated VIP rooms, the Baths of the World, and be sure to ask for a personal bather. Apart from that, the bathhouse has male and female public classes, spa treatments, a beauty parlor and an atmospheric restaurant. Opened in the middle of the 19th century, Seleznevskie banya is one of the oldest and most authentic bathhouses in Moscow. Not a major tourist draw, this historic banya doesn’t have the splendour of Sanduny or the Soviet aesthetic of the Vorontsovskie. Instead, Seleznevskie offers proportionally lower prices and some of Moscow’s best steam rooms, as well as the biggest bathhouse tub in the capital, all of which makes up for the less glamorous interiors.